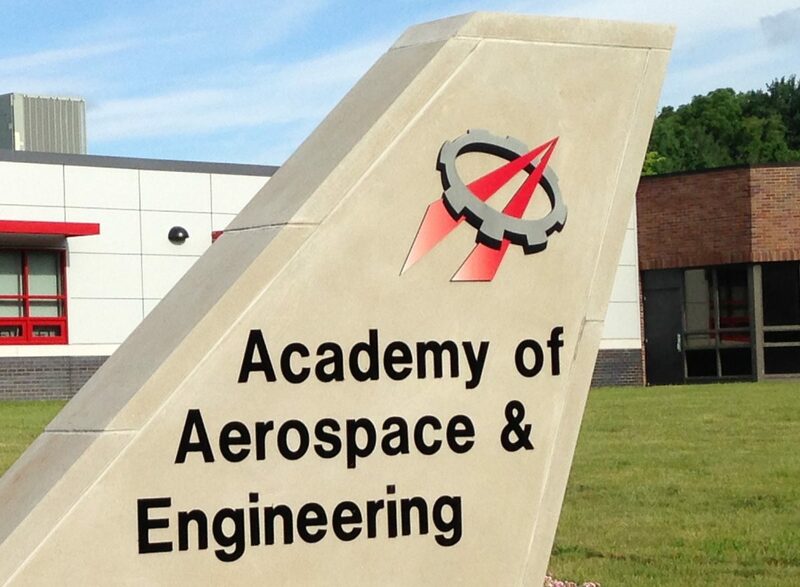 Students at the Academy of Aerospace and Engineering have competed in Invention Convention for the past two years (the academy’s entire existence), so it’s useful to reflect on what went well and what could be improved. Invention Convention is an outstanding STEM (science, technology, engineering, and math) competition where each student designs and builds an invention, either a model or a prototype, and produces a trifold display, then presents these products to a panel of judges. We participated in Connecticut Invention Convention (CIC) both years, and this year we had four students make it to the national competition, National Invention Convention and Entrepreneurship Expo (NICEE). CIC begins with a local competition that a teacher or advisor sets up in the school or community–I set up one in our academy facility, and I required all of my students to compete and invited other teachers to let their students compete. I followed the CIC guidance, which CIC provides through excellent one-day training sessions with loads of downloadable materials. We set up the area similar to the way the state and national competitions are run with students in “judging circles” of about six students each. CIC provides a process for students to follow to design and build their invention, but I used a similar NASA engineering design process that our academy uses. To get judges for the local competition, I recruited volunteers from two aerospace firms in our town, GKN Aerospace and PCX Aerostructures. CIC recommends using outside, impartial judges, vs. teachers or parents, and I found this to be excellent advice. The first year I did all this, I gave my students some informal time to present their inventions to one another before the competition. Their feedback after the competition was that they had some difficulty knowing what to say to the judges. Therefore, this year I gave my students a few days to practice presenting. We started with a day where we brainstormed as a class on what to say, then we took those items and created a 2-minute pitch that every student practiced and gave to the class. In feedback after this year’s competition, many students felt the pitch was helpful, including those that competed all the way up to NICEE. Our experience at each level of Invention Convention this year was very positive. I have posted previously on our local Newington Invention Convention, on the Central Regional CIC, and and on the state CIC. In summary, this year we had about 60 students compete locally, of whom nine (15%) were allowed by CIC rules to advance to the regional competition–the nine top inventors picked by the judges. Of these nine, eight (89%) advanced from the regionals to the state competition (CIC). Of these eight state competitors, four (50%) advanced to the national competition (NICEE) and won major awards at CIC. These percentages are very high, well above average, and I attribute them to our continual focus on creative work and engineering design in the academy and on our preparation for Invention Convention following CIC guidance. I strongly recommend Invention Convention as one of the best STEM competitions your students can enter. While I like team STEM competitions and have coached several of them, I think that the solo competition in Invention Convention is also very beneficial since it gives every student a chance. If you are a STEM teacher in Connecticut and use the materials that CIC provides, you should find it is not difficult to coach your students or even to set up your own local competition.